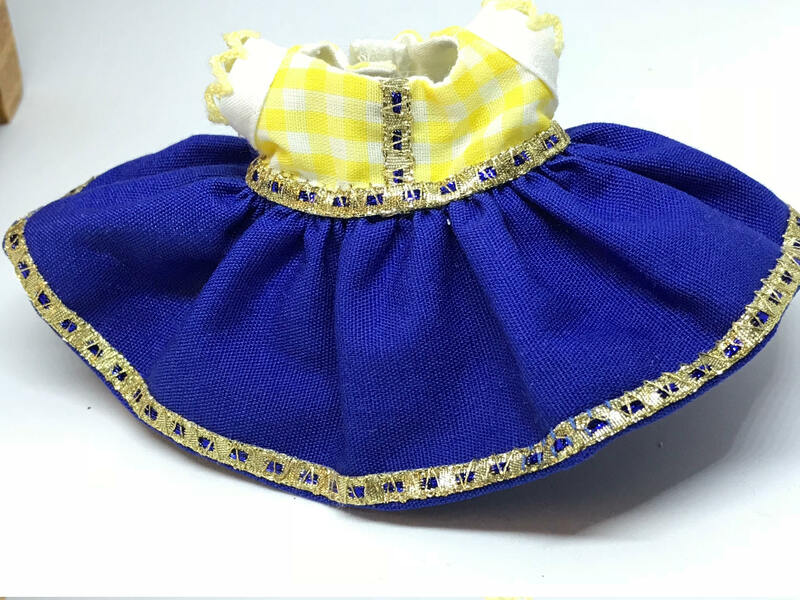 a yellow gingham check bodice accented with white trim at the sleeves tops a solid blue skirt trimmed with gold lace-- a Cinderella inspired dress. 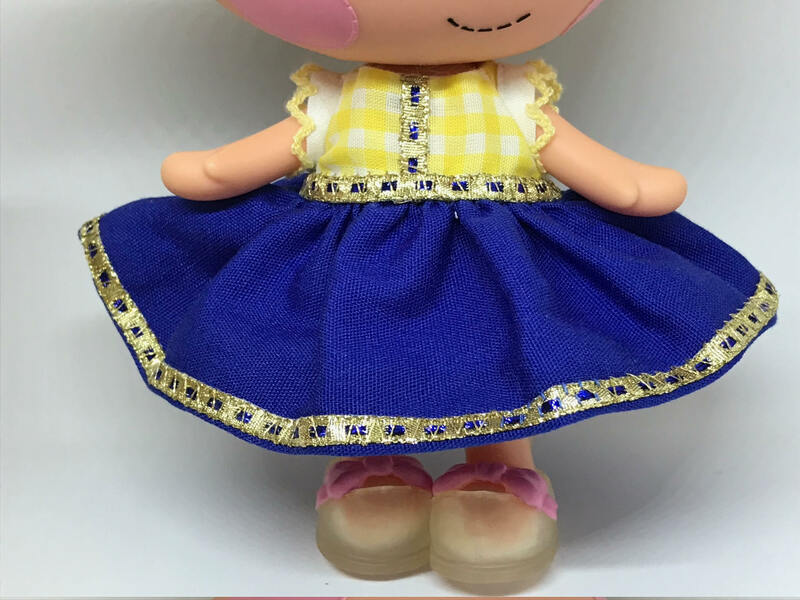 Limited Edition Lalaloopsy Doll Clothes! 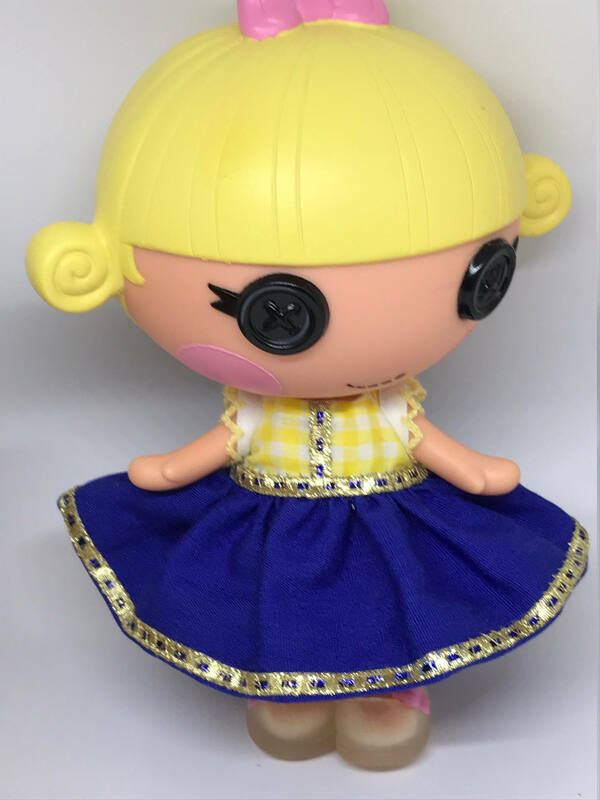 Handmade Doll Dresses by Glenda, this meticulously crafted doll dress us will delight any Lalaloopsy lover young or old. Glenda is 79 years young and has been sewing since she was a little girl. 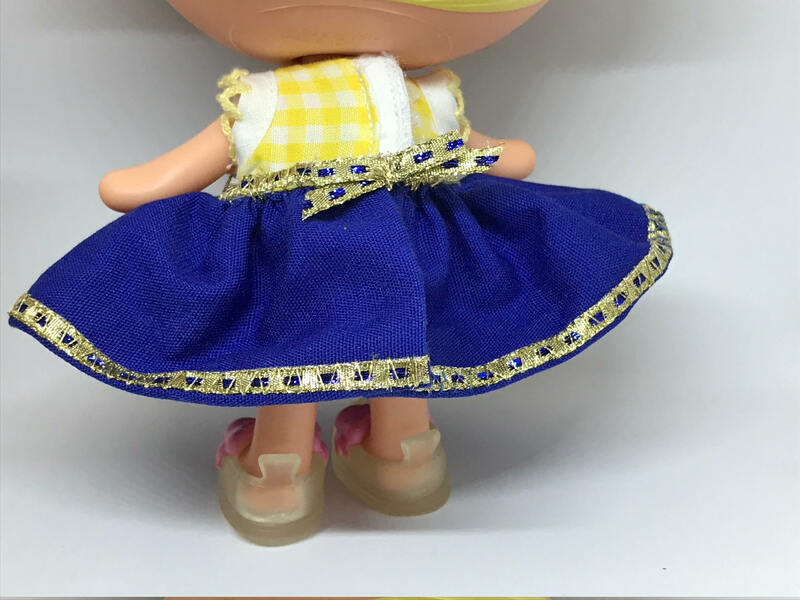 (Some of favorite childhood memories are from the clothing she made for my sisters, me, and our dolls.) 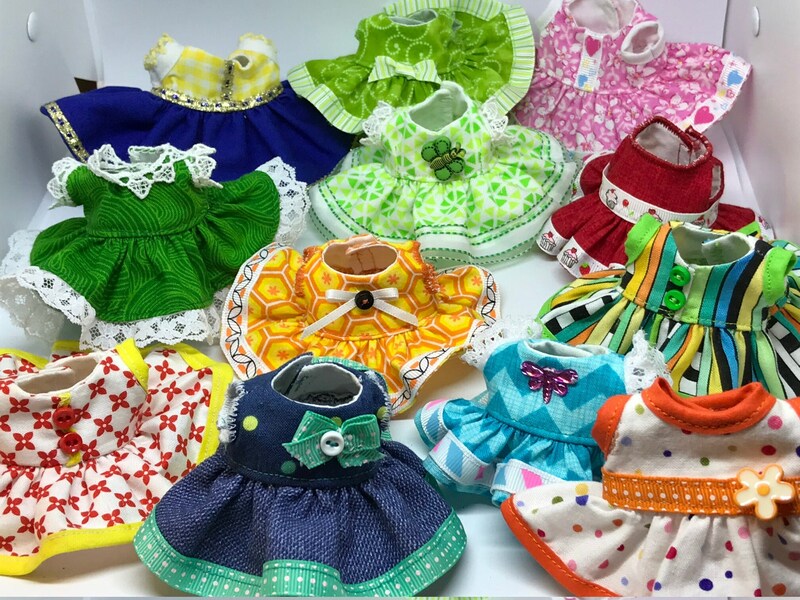 Glenda worked as a professional seamstress for many years and her skills shine in these delicate, tiny doll clothes. You will love the attention to detail! Each item is made from carefully matched fabric and embellishments. All seams are finished for long life. Made from all new materials in a smoke free, pet free environment. Each item will be nicely packaged and ready to give as a gift or keep for yourself.